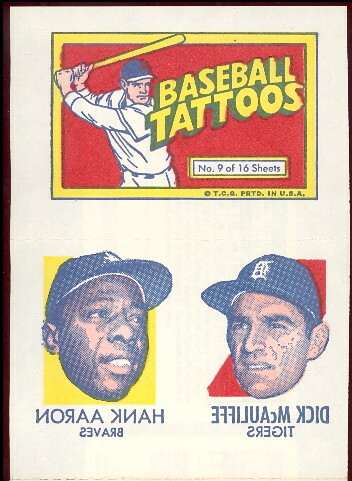 DAVE'S VINTAGE BASEBALL CARDS PRESENTS 1971 Topps Tattoo issue. This 16 sheet issue has Tattoos of varying sizes, shapes and themes. The sheets are 3-1/2" X 14-1/4". There are players, facsimilie autographed baseballs, pennants and assorted cartoons.